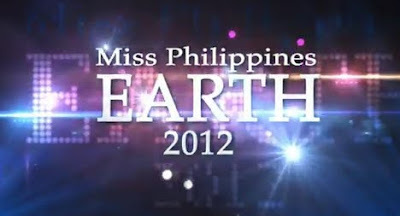 Miss Philippines Earth 2012, the 12th edition of the advocacy-driven beauty pageant, will be held on May 27, 2012. Athena Mae Imperial will crown her successor who will represent the country in the international Miss Earth 2012 beauty pageant. Last year’s winners, Mary Denisse Toribio (Eco Tourism), Michelle Gavagan (Fire), Jonavi Raisa Quiray (Air), and Murielle Adrienne Orais (Water) will also crown their respective successors. The Miss Earth Philippines 2012 candidates showcased their bodies in a recent summer bikini showdown. In an interview aired on TV Patrol on Monday, some of the contestants revealed their anti-mining advocacy.